Treasured Ceremonies Funerals and Memorials provides professional funeral arrangements with personalised service. Whether you require my services immediately, are looking for an experienced funeral consultant or just need some information, call me on 0418 564 852 to discuss your required arrangements in an obligation-free chat. As an experienced funeral arranger providing funeral services in Melbourne, I will be there for your family throughout the entire process. When you are going through the grieving process, the worst thing that can happen is being rushed into arranging a funeral quickly, and regretting the exorbitant costs later. This is why I strive to provide cheap funerals in Melbourne, to minimise the stress and burden on your family. Give me a call and receive a quote in writing immediately for my all-encompassing services. I will come to you, meet your family and take note of your wishes. All paperwork and preparations will be conducted according to your convenience. I will also handle all the funeral arrangements, bookings and appointments, while updating you on the process, to take the burden off your shoulders. For those who choose a burial service, I will be present at the funeral and stand next to you at the graveside. Alternatively, those who choose a cremation can rest assured I will be the one returning the ashes to you. Burials and cremations: my funeral services in Melbourne cover both in accordance with your cultural traditions and preferences. 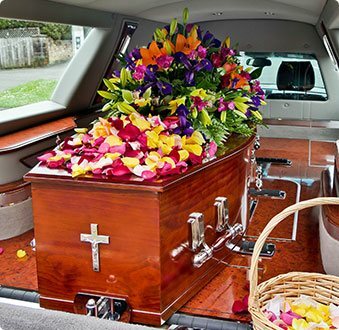 If you need to prepare a funeral immediately, then please give me a call on 0418 564 852 for an obligation free chat and we can discuss what arrangements you are looking for. Otherwise, if you are just at the planning stage for your own funeral, for a terminally ill family member or would like a general discussion regarding financial preparations, I will be able to come to you and determine the best possible funeral service for your circumstances. 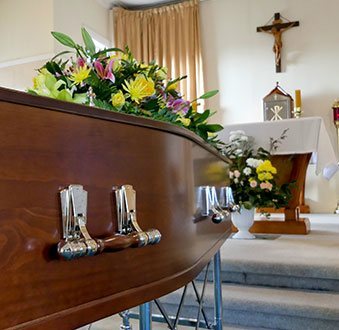 In order to maintain a reasonable cost of funeral, Melbourne residents can rely on me, as I work with Melbourne-based Independent Funeral Directors who provide affordable funeral services to Melbourne and surrounds. Together, we can deliver services throughout Melbourne and keep our prices reasonable due to low overheads. No matter how you would like to honour and pay tribute to your loved friend or family member, Treasured Ceremonies Funerals and Memorials can assist. Treasured Ceremonies Funerals and Memorials was created through my own experiences and desire to provide cheap funerals in Melbourne. When my mother died seven years ago, I was amazed at the cost of the funeral services in Melbourne, and struggled to find affordable funeral services. I had too much respect for my mother to want a cheap funeral for her, but it was difficult trying to find one which seemed reasonably priced. On top of this, funeral directors in Melbourne seemed to constantly be offering add-ons to the basic package, resulting in more and more expenses. The process was simply too difficult and stressful, especially when going through loss and grief. Having been through the experience myself, I decided to start offering affordable funeral services in Melbourne and surrounding areas, with low overheads and high standards of service. Since opening our doors we earned a reputation as one of the leading funeral homes in Melbourne thanks to our commitment to our clients and sensitivity. Our bespoke and cheap funeral services for Melbourne allow our clients to celebrate the lives of truly special people. By providing a quality budget funeral that keeps costs down, Melbourne families can trust us to deliver high-quality cheap funeral services that will deliver a ceremony that honours the life and achievements of your loved one. Arranging a funeral is a deeply personal experience, one where your own tastes and preferences must be taken into consideration. 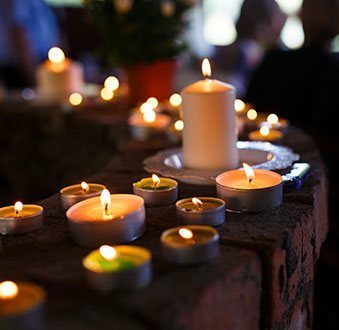 To allow you or your loved one to say goodbye in their own way, Treasured Ceremonies Funerals and Memorials offer green funeral services in Melbourne. If your loved one was passionate about eco-friendliness, it’s vital that their funeral service also honours those wishes. I offer my services across Melbourne but also for Melbourne’s Eastern Suburbs. At Treasured Ceremonies Funerals and Memorials we approach every service we prepare with the highest levels of care and sensitivity. Passionate about helping celebrate the lives of people from all walks of life our directors proudly offer the cheapest funeral costs to ensure Melburnians from across the city do not miss out on a quality service due to budget limitations. 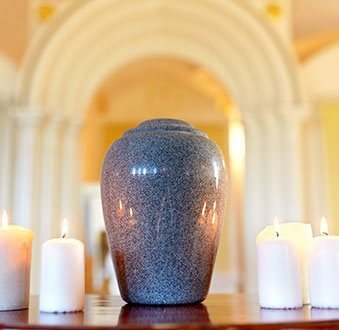 Our cheap funeral arrangements and cheap funeral packages give families a number of options to choose from when the time comes, ensuring that the wishes of the family and loved one are met. Treating all of our clients with dignity and respect Treasured Ceremonies Funerals and Memorials have become the funeral directors and celebrants Melbourne turns to if they are looking for professional, caring, and dedicated services that are affordably priced. Able to officiate and oversee the memorial service our funeral directors work closely with families currently grieving the loss of their loved one. Giving the right amount of time and space, we gently guide our clients through the process ensuring that we meet their wishes and the wishes of their loved ones. To experience the Treasured Ceremonies Funerals and Memorials difference call us today on 0418 564 852.